Lumbini itself is a whole premise of garden of the ancient location of the Siddhartha Gautam Buddha. Nepal’s good friendly countries like Thailand, Sri Lanka, Japan and other countries have contributed to the Lumbini Development Project to make it a dream pilgrims’ site of International Center for Buddhist Pilgrims and Studies. Lumbini offers monasteries, monuments, museum, World peace pagoda, and architectures under construction. You can visit all these places by Rickshaw and other means of transportation, including boat. Buddha is – The Star of Asia and symbol of peace, was born in the full Moon on Nepali first month Baisakh, before 500 BC. In Buddha Jayanti, people from all over the world gather at Lumbini to celebrate his birth. Your package and the prices vary according to your booking. You may only hire a car and go, you may hire a care and the driver as guide or may take a flight and hire. If you would like to see country side, better hire a car with driver. Lumbini is located in the Western-Terai region and is 259 km away and 6-7 Hours’ drive from Kathmandu. The climate is subtropical and summer temperature as high as 40°C and in winter 7°C to 23°C. There is entrance fee for very little amount of money. Lumbini, birth place of Buddha is UNESCO World Heritage site. The temple of Mayadevi, the mother of Buddha is located close to the Ashoka pillar. The statue of Mayadevi is made out of the stone which is believed to be 2000 years old. People worship Mayadevi as well as Rupadevi. To the south of Mayadevi temple lies Puskar pond where Mayadevi took bath before giving birth to Buddha, and took her purifying bath in the same pond. The whole area of Lumbini is considered as a garden. Many monasteries have been built through the help of different countries and more garden added. Flying to Lumbini is the easiest and fastest access which is time-consuming. 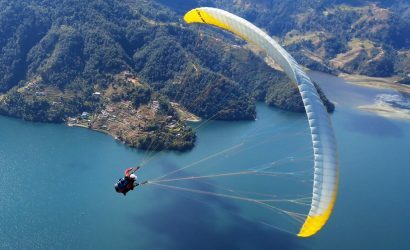 You will fly from Kathmandu to Bhairahawa airport that takes 40-minute scenic flight. Then you will drive 30 minutes to Lumbini, check-in the hotel and begin the Lumbini tour. While driving by bus can take 8 hours to reach Lumbini from Kathmandu. This access offers a budget Lumbini tour and for those who love a long journey. However, the itinerary is same as above domestic air but takes an overall 5 days. After visiting Lumbini as a whole, you will drive to Chitwan, walk around the village and overnight in Chitwan hotel. 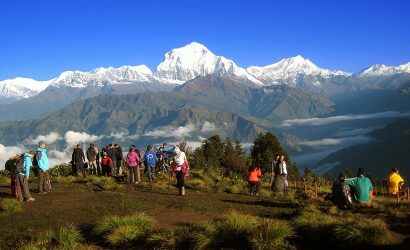 At the very last day, you will drive to Kathmandu which takes 7hours from Chitwan and your Lumbini tour ends. Lumbini is a birth place of Lord Buddha and is the major cultural destination of the world. 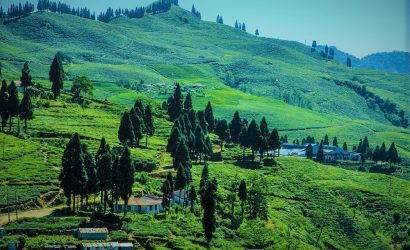 It is located south west from Kathmandu, 259km and approximately 7 hours of drive. 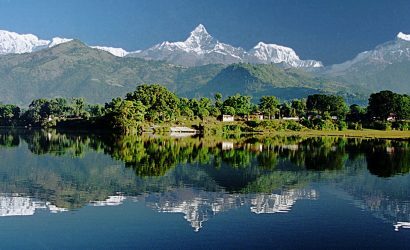 Nepal mainly has two season, winter and summer. October through March is colder and other months are warmer or hot. Visit to Lumbini is not very expensive and every body can do it and make it. Your journey starts after we receive you in our Car. We expect that you finish your breakfast before you get into the car. In every 3 or 4 hours we stop for a break in gas station or coffee shop. We will eat lunch in between 12-1pm. We will check into hotel in Lumbini, be fresh for an hour and we go out to Maya Devi Temple in the evening, come back to Hotel and eat dinner and take rest. This is your day and you can enjoy visiting many places around the Lumbini. Visit Maya Devi Temple, Ashok Pillar, Myanmar Golden Temple, Peace Pagoda, Swami Maharaj Bihar, China Temple, Lumbini Museum, Archeological site and Garden. Feel free to customize your time schedule as per your convenience. 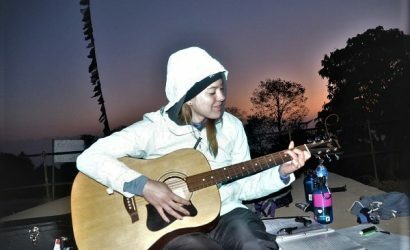 After your break fast, you can return to Kathmandu or go to Pokhara or Chitwan. Lumbini, the Birthplace of the Lord Buddha. Siddhartha Gautama, the Lord Buddha, was born in 623 B.C. in the famous gardens of Lumbini, which soon became a place of pilgrimage. Among the pilgrims was the Indian emperor Ashoka, who erected one of his commemorative pillars there. Is Buddha born in Nepal or India? According to the Buddhist tradition, Gautama was born in Lumbini, now in modern-day Nepal, and raised in the Shakya capital of Kapilvastu, both in Nepal. What are the three main beliefs of Buddhisms? The Basic Teachings of Buddha which are core to Buddhism are: The Three Universal Truths; The Four Noble Truths; and. The Noble Eightfold Path.